Stephen was a faithful man who trusted in God. He did many miracles among the people. Some people that came from the Synagogue of the Freedman purposely challenged and quarreled with Stephen. But they couldn’t win over Stephen because Stephen was speaking through the Holy Spirit. They were not satisfied and so they spread false rumor about Stephen. This caught the attention of the elders, and the scribes. They arrested Stephen and brought him before the council. Everyone stared at Stephen and they noticed that Stephen’s face was like that of an angel. When the people heard what Stephen had said, they were hurt and wanted to revenge. But Stephen who is filled with the Holy Spirit lifted his head and looked up to the heaven. Stephen saw the Lord Jesus standing at the right hand of God. The people shouted very loudly and stopped their ears. They rush over to Stephen and throw him out of the city. Then they stoned Stephen to death. Stephen breathed his last and died. 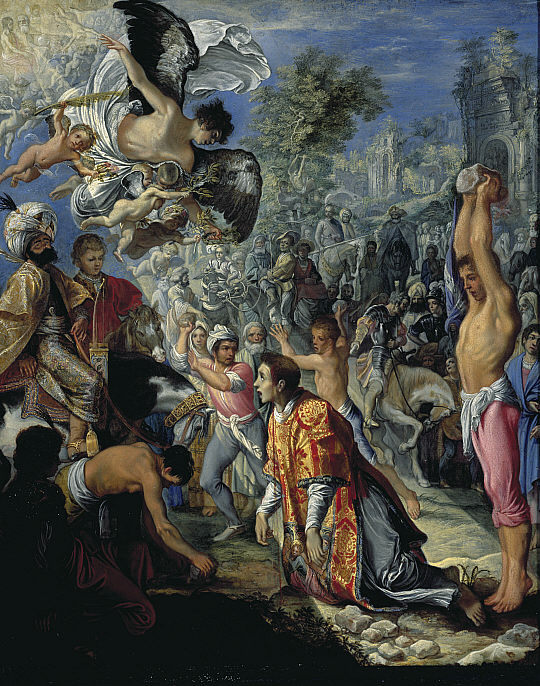 Some faithful Christians came and carried away the body of Stephen. After they had mourned for Stephen, they buried him.